I was filling in my wife last night about this whole Manti Te’o hoax. 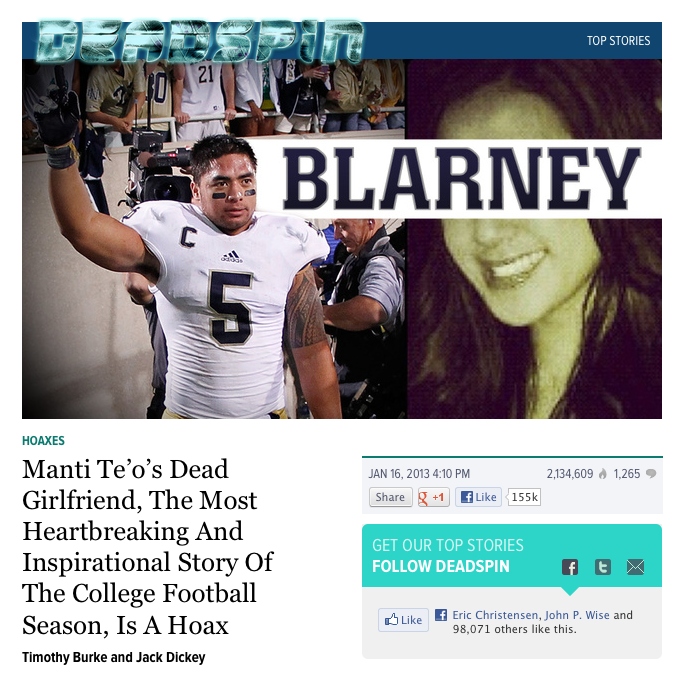 Notre Dame star football player… a girlfriend’s tragic death… and now the revelation it’s all a sham. She was being funny, but it actually touches on a delicate issue. How truthful are you when producing your videos? Everyone has an ethical line in the sand. I mean, I hope they do. My background is in journalism, so mine is pretty strict. Stop snickering… it’s true! We’ve never had a client who tried to get us to put something into a video that’s false, but some blurry areas have popped-up from time-to-time. And in those situations, I’ll standup. I’m not shy about telling clients when something ethical arises. I feel like all of us, you and I, are obligated to do that for our clients. Last week, I blogged about what a good job universities are doing at giving fans a behind-the-scenes look at their football programs. This should really interest business leaders because it’s a great technique they can use to educate their customers and prospects. I highlighted USC and Notre Dame’s YouTube channels since the two were renewing their rivalry over the weekend. No surprise… USC posted a video less than 24-hours after its victory that puts fans right in the middle of the team’s big win, and it’s another great example for Corporate America. Look… the likelihood that a company is going to produce something that communicates the same level of excitement is pretty slim. That’s not the point. 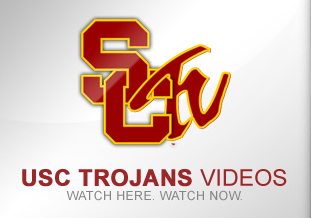 One of the lessons learned here is that USC clearly understands how it can create content to serve its following. Try finding anything even remotely like this in the traditional media. It’s not there, and yet there’s an audience for it. Thousands of people have clicked to watch this behind-the-scenes gameday video. USC isn’t waiting for the media to feature its football team. The school is going out and telling its own story. Businesses have curious customers. They have people who are interested in their products and services. Businesses could be content creators like USC if only they understood the power these videos hold. Videos like these serve an audience’s interest and foster loyalty by opening doors they normally can’t look behind. One of the great things about online videos is the ability to take people to places they normally don’t get to go. Want to see it being done to near perfection? Start following college athletics. The University of Southern California takes on Notre Dame this weekend in South Bend. It’s one of college football’s best rivalries, and thanks to YouTube fans get unprecedented access to their teams. Each university’s athletic department has their own channel, and they post multiple videos every week documenting the comings and goings of their football programs. Pretty cool stuff if you’re a fan. Business leaders… pay attention. This could be you giving your prospects and customers a behind the scenes look at your company. That sort of access can build real loyalty.